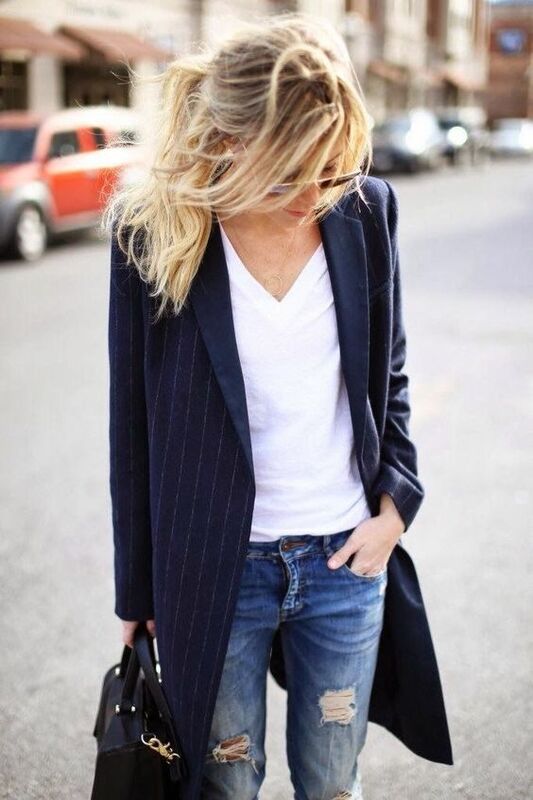 Style Theory: The white tee, the ultimate wardrobe essential, can be dressed down with slouchy jeans and trainers, can be worn for work tucked into tailored trousers or can be dressed up tucked into a net skirt for an eyecatching but laid back look. But how difficult is it to find the perfect tee? It needs to be cut beautifully so it skims over lumps and bumps, be a good quality fabric so it is not see through and holds it's shape and be the perfect bright, shade of white. Sounds like a lot to ask, no? Step forward YunionT , their T-shirts have been designed by fashion designer Melanie Morton who has meticulously crafted the ultimate T-shirt from sourcing the very best opaque, luxurious fabric (and when I say the best I mean the exact same fabric and craftmanship you would find the very top designers using) to taking great care with measurements so that each T-shirt flatters the figure and creates the perfect silhouette on which to build your outfit, all designed and made in the UK. I met Melanie Norton, the founder of Yunion T through a Trust in Fashion event I attended and immediately loved the sound of the perfect T Shirt she had created (I have tried but failed to find the perfect tee in the past sometimes paying well above the odds in the hope it will be the one) She kindly gave me a round neck tee to try, the first thing I noticed was it's amazing quality, it is a dense cotton but breathable, it fits beautifully and is such a good, flattering cut. I styled it with jeans and my gold shoes.. There are 5 style to choose from, I am going to treat myself to the slash neck tee also, as this looks fab on.. The perfect T-shirt is no longer a myth, it exists! I am so excited by new wardrobe classics Melanie has planned to introduce to the collection in the future. The options for white t-shirt based outfits are endless, I will be wearing mine a lot this summer. When ordering the sizes are true to size and really do flatter. Are you a fan of the white t-shirt, what are you wardrobe classics? I think I would say this season, a good Tee, a navy blazer and a really good fitting pair of ankle length jeans. Similarly, cotton is a natural insulator and so as well as being a breathable fabric that will keep you feeling cooler and very simple style. The white round neck tee, the ultimate wardrobe essential with slouchy jeans and white shoes with clutching hand bag. It is perfect match suit on you, I love your pics. Find T Shirt Printing service provider in a wide range. Each style of T-Shirt is very attractive I like very much. Can you share me promotional T-Shirt idea for designing. The T-Shirt is a style of the unisex fabric shirt, named after the T shape of the body, sleeves and it is universally accepted. All these T-shirt gives very simple and cool look. Teedesign shop is a social platform where peoples meets to use theirs idea to design your own t shirts and get it printed on top quality fabric. You look awesome in these dresses. Its suit on you and quite impressive. If you are looking for mens tank tops online, then visit Gutts T shirts.